When I was at school I was lucky enough to go on a trip to Morocco. It was one of the best experiences as we got to do things that I probably wouldn't have had the chance to. While we were there we ate so many tasty tagines that now every time I have one it reminds me of that trip. When I did my veggie challenge the other month my mum had lent me a number of her cookbooks including a student's vegetarian cookbook. I think I only really needed this book as there are so many great recipes in it that aren't your usual vegetarian dishes. Plus as it's aimed at students it means that most of the recipes are also pretty quick to make which is great for days when work has seemed extra long, stressful and exhausting. 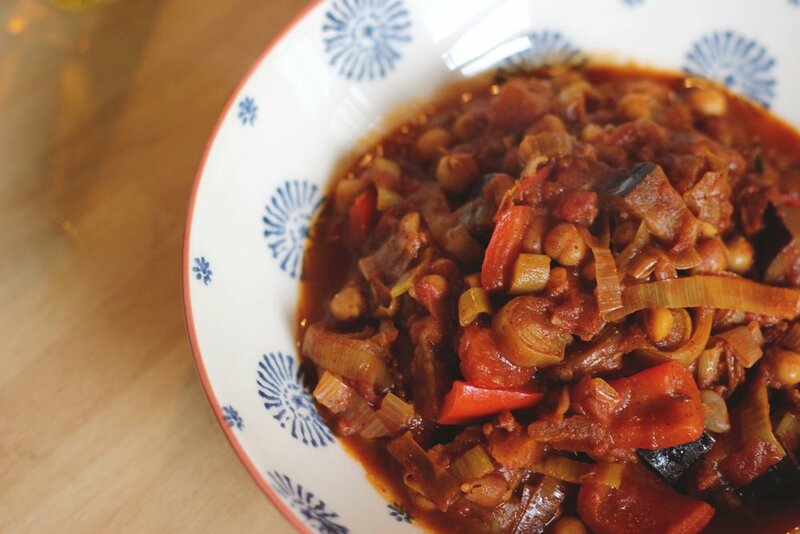 My favourite recipe that I cooked up from The Hungry Student Vegetarian Cookbookby Charlotte Pike was definitely the aubergine and chickpea tagine. It's taken me so long to acquire a taste for aubergine. I think it was something about the texture that really put me off and the fact that sometimes it can look really grey and slimy which is not so appetising. But, finally, I'm totally cool with eating aubergine, yay! So here's the recipe, and the added bonus is that it's vegan! Warm the oil in a large saucepan over a medium heat. Add the garlic and ginger and cook for a few moments until they are softened and aromatic. Add the spices and cook for a further minute, stirring continuously. Add the tomato puree, chopped tomatoes, chickpeas, pepper, aubergine, apricots and almonds, then stir all the ingredients together to combine evenly. Add the vegetable stock and honey and allow to cook for around 30 minutes or so, stirring every 5 minutes. Check the vegetables are tender. If so, you're ready to serve, if not, allow the tagine to cook for another 10 minutes and check again. 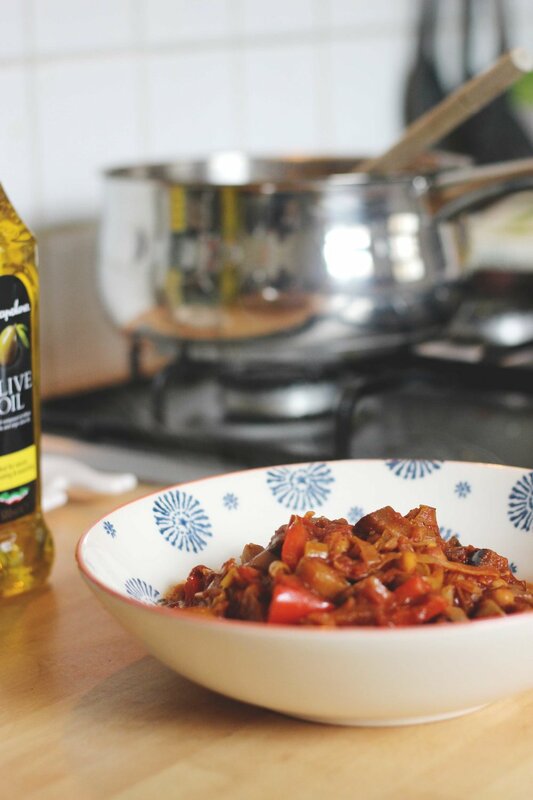 When the tagine is cooked, finish by adding the lemon juice and seasoning with salt and pepper. It's a pretty versatile recipe too, I added in leek to it when I made it as I had some in the fridge and it worked pretty well! You can serve it with couscous or whatever you fancy, when I made it I served myself up a big bowlful and had a few mini pitta breads to go along with it. Enjoy!